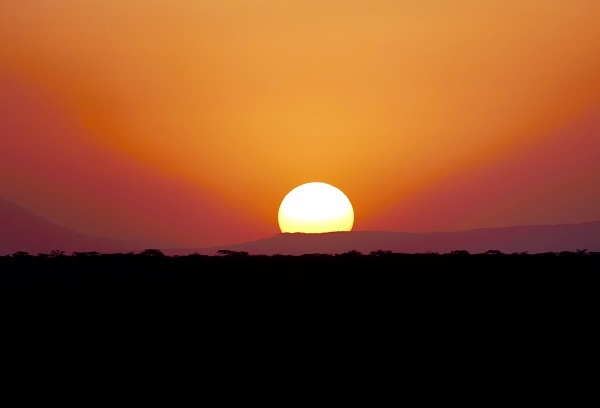 The Awash National Park is located in the lowlands at the heart of the rift valley, east of Addis Ababa (approx. 250 km) adjacent to the Awash River. 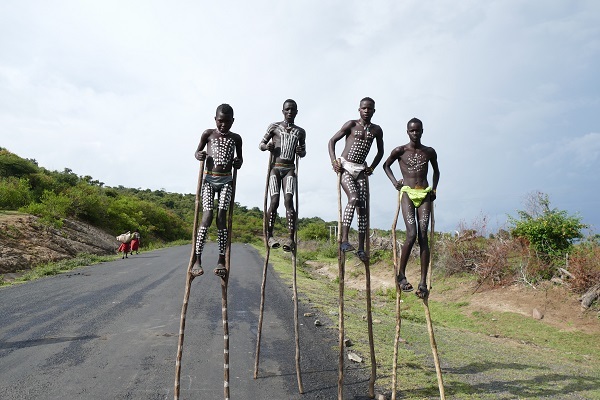 It is one of the finest nature reserves in Ethiopia. The Awash River is one of the major rivers of the Horn of Africa and waters important agricultural lands in the northeastern parts of Ethiopia. The Awash National Park, surrounding the dormant volcano of Fentale, is a reserve of arid and semi-arid woodland and savannah, with riverine forests along the Awash River. Forty-six species of animals have been identified, including Beisa Oryx gazelles, wild pigs, dik-dik, baboons, kudus, giant tortoise, hippos, aardvarks, hyrax, and Colobus monkeys. Bird life is prolific, particularly along the river and in forest area, 392 species have been recorded. 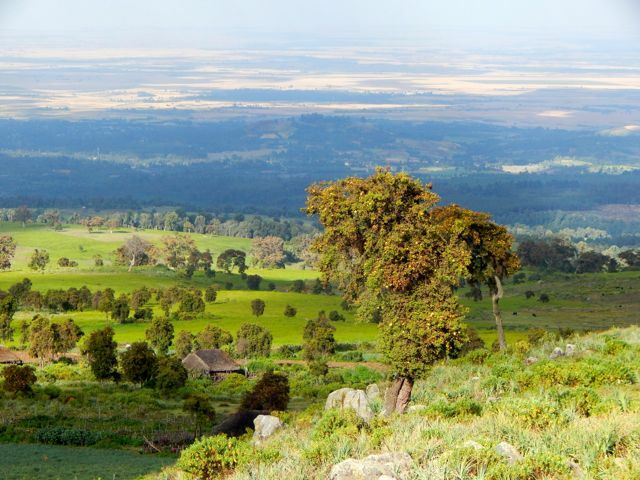 The Bale Mountains with their vast moorlands and extensive heath land, virgin woodlands, pristine mountain streams and alpine climate remain an untouched and beautiful world. Rising to a height of more than 4000 meters above sea level, the range borders Ethiopia’s southern highlands, whose highest peak, Mount Tullu Dimtu, the second highest peak in Ethiopia, stands at 4377 m.
The establishment of the 2470 km2 Bale Mountains National Park was crucial to the survival of the four endemic mammals; Mountain Nyala, Menelik’s Bushbuck, Ethiopian Wolf and Giant Mole Rat as well as to different endemic species of birds, 220 bird species in total. 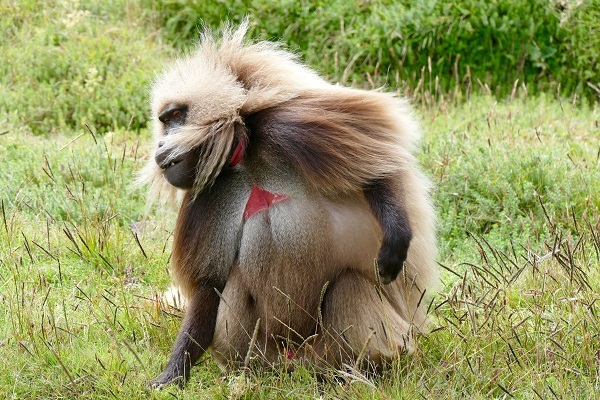 The Simien Mountains National Park covers 400 km2 of highland area at an average elevation of 3300m above sea level. 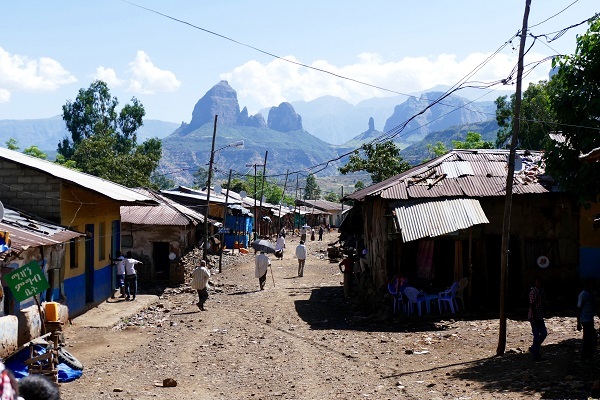 Ras Dashen at 4620m, the highest peak in Ethiopia, stands adjacent to the park. Within this spectacular splendor, five endemic mammals can be visited here; Walia Ibex, Ethiopian Wolf and Gelada Baboon as well as Klipspringer and Bushbuck. The temperature regularly falls below freezing at night. Daytime temperature normally range from 11°C to 18°C (53 to 640F). The Mago National Park is located adjacent to the Omo River and covers an area of 2162 km2. The broad grasslands teem with herds of buffalo, giraffe, elephant and kudu, while sometimes it is also possible to find lion, leopard and Burchell’s zebra. 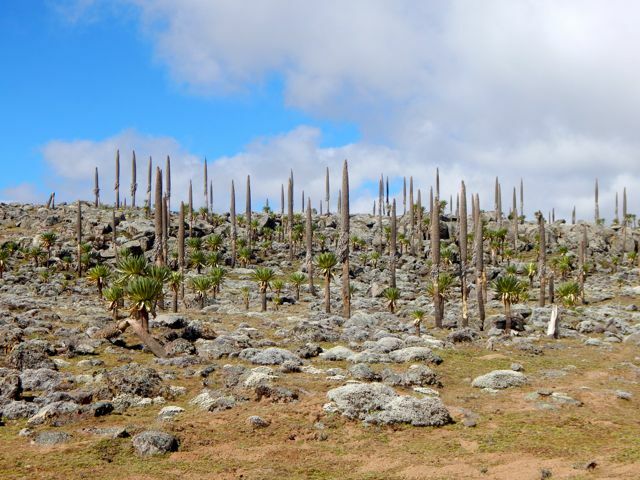 The park rises in the north to Mount Mago (2528 m) and is home to 56 species of mammals. The park is mainly covered by savannah and grassland, with some forested areas around the Neri and Mago rivers. 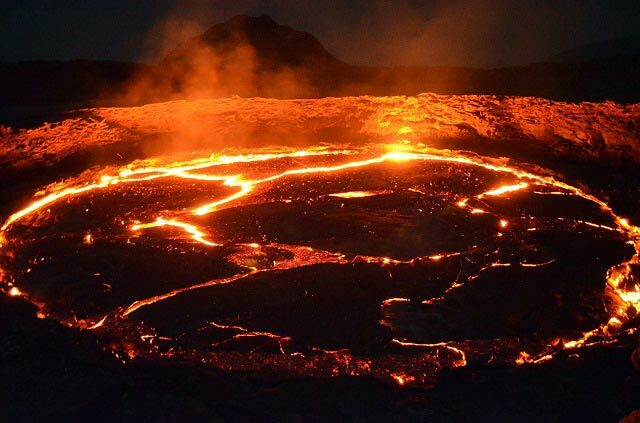 The Danakil / Dallol depression located in the northeastern part of the Ethiopian Great Rift Valley roof with several points below sea level has a reputation as one of the earth’s most inhospitable and yet most outstanding places. Temperatures can hit above 50°C, and with violent volcanoes, blistering air temperatures, gases and land masses being ripped apart by enormous planetary forces this natural wonder, both magnificent and terrifying, is not suited for the faint-hearted! The area is peppered with countless colorful sulphurous springs as well as an astonishing quarter of Africa’s active volcanoes. Among these, Erte Ale certainly stands out, hosting several crater lakes and spitting out bubbling molten rock from the earth’s core. As a continually erupting volcano Erte Ale casts a spectacular image across the sky looking like a scene of biblical destruction. This is the reason why one of its pits is popularly known as the ‘gateway to hell’. 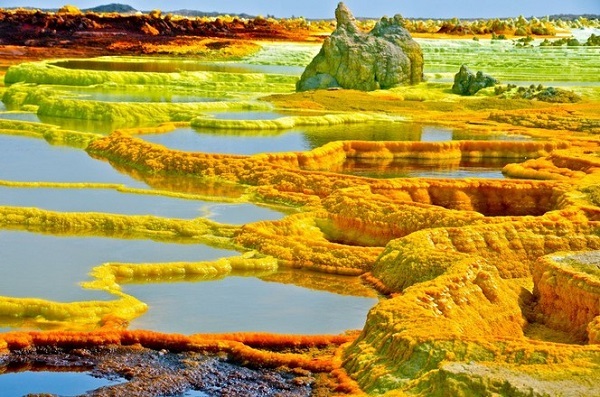 Another destination in this so called Afar region allows sightseers to take in a massive sulphuric lake, nicknamed Yellow Lake because of its striking color. The phenomenon is caused by high sulphur in the volcanically active region. Nearby Yellow Lake are huge salt plains. 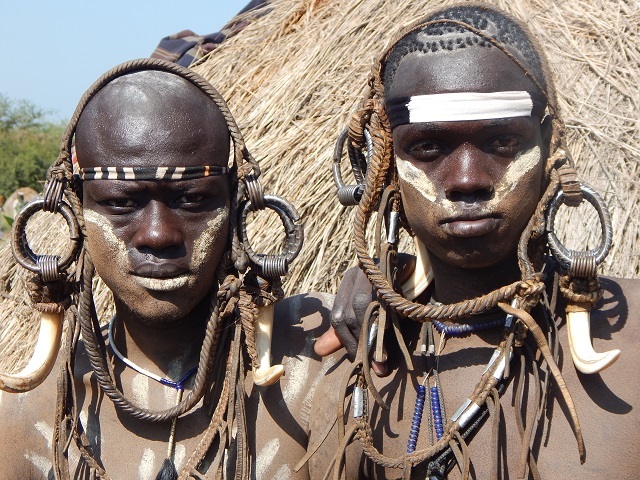 With almost no life there – because the salt kills vegetation – it makes the Danakil seem even more extra-terrestrial.